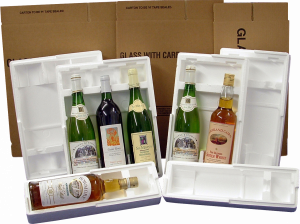 Great for protecting the bottle from impact, as well as the beverage from external temperature fluctuations. Suitable for a 75cl bottle, 80mm diameter 332mm high. All packs are approved by The Post Office and Parcel Force. 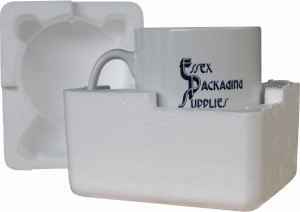 For sending mugs, we have a 2 part polystyrene pack which can be supplied with a single wall corrugated carton.